It is very easy to rip MP3 files from an audio CD. 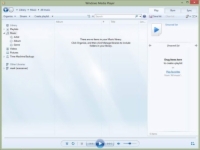 For this demonstration, you’ll use the Microsoft tool of choice for ripping MP3 files on the PC: Windows Media Player 12, which is built into Windows 7 and 8! 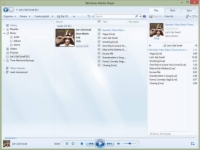 PC owners using Windows Vista and XP can run version 11 of Windows Media Player. You also might want to install Windows Media Center, which is available as an upgrade to Windows 8 Pro. If you want to watch DVD movies on your PC (as well as enjoy the full range of features available in Windows Media Player 12), invest in this upgrade. You can legally rip MP3 files only from audio CDs you bought for yourself! If you rip songs from a friend’s CD — or even an audio CD that you borrowed from the public library — you’re violating copyright law. 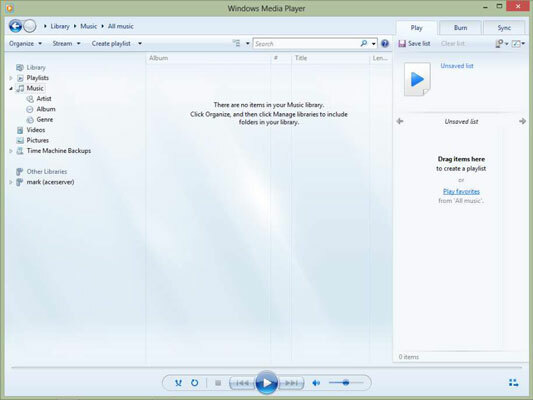 1From the Start screen, click the Windows Media Player tile, or type Media and click the Windows Media Player button that appears in the Apps Search results pane. Media Player displays the main window. 2Load the audio CD with the music you want to rip into your drive. Media Player automatically connects to the Internet and retrieves the track names and album cover. The program displays the CD information in the window and begins to play the CD. Click the Stop button (the square) on the control strip at the bottom of the window. 3Before you extract any tracks, you should first configure the MP3 settings within Media Player. Click the Rip Settings button in the toolbar at the top of the window. 4From the menu that opens, choose Format and then choose MP3 Format. In this case, you want your MP3 tracks for an iPod player (instead of the default, which is Microsoft’s Windows Media Audio or WMA format). 5Click the Rip Settings button again; choose Audio Quality and then choose 128 Kbps from the list. 6Mark the tracks you want to rip. By default, Media Player automatically rips all tracks on the disc. However, if you don’t want to rip all the tracks, you can select individual songs from the track list. Click the check box next to a track to select or deselect it. 7Click the Rip CD button on the toolbar. The completed MP3 files are placed in a separate folder within your Music folder, complete with the artist name and album title. Media Player also adds the tracks to your Media Player Library, which you can display by clicking the Music entry in the Navigation pane at the left side of the Media Player window.